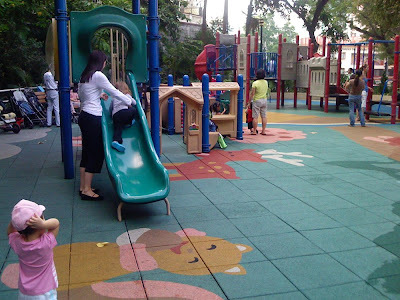 On Friday, Natalie visited the park at Caine and Seymour Road with her friends Max, Stella, and Becky. 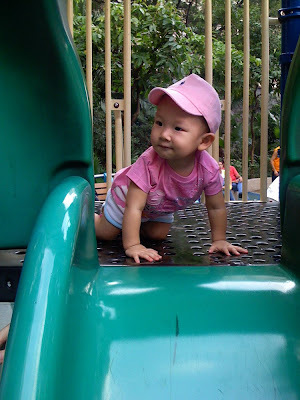 After a brief warm-up period, she took off to frolick with her friends on the play equipment. Natalie is amazed at all there is to play with. 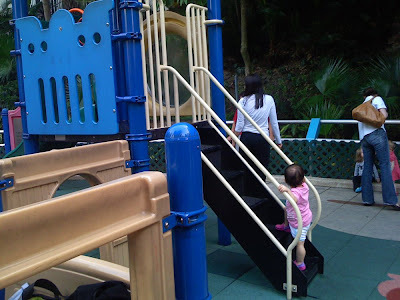 She stands at the edge, watching Stella climbing the slide and wonders, where to start first? 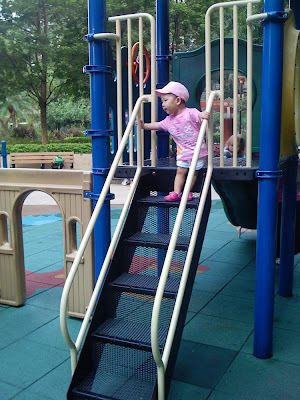 Natalie likes the slide, but she much prefers climbing up than going down. 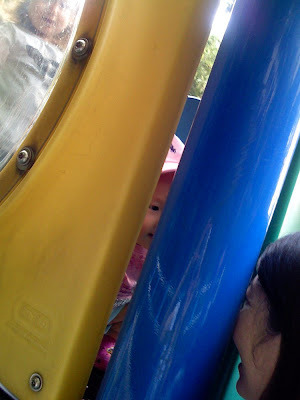 Natalie smiling while peeking out at auntie Katie. 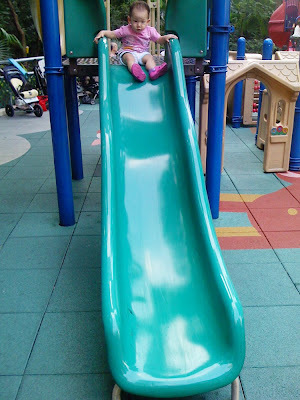 Natalie's little friend Stella on the slide. 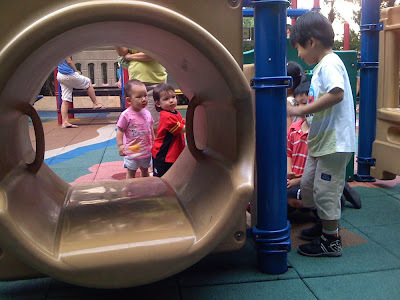 Natalie curiously watching some of the other kids play. 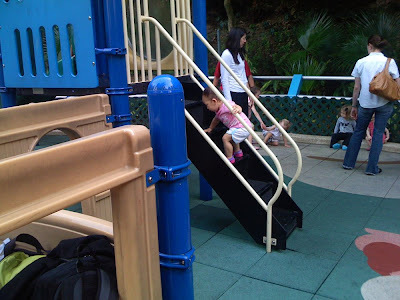 Very bravely, Natalie can climb the stairs all by herself! 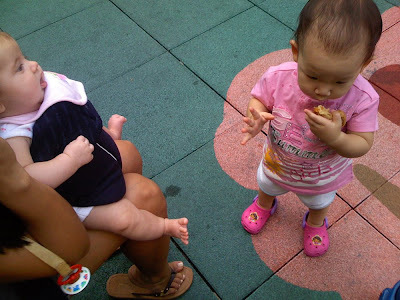 Later, I give Natalie some raisin bread to snack on. She wanders around, checking things out while she munches away. 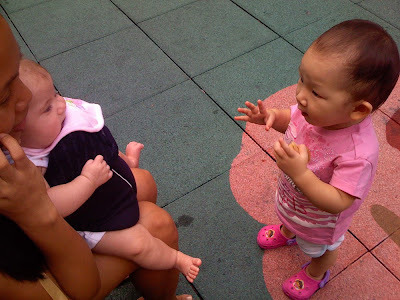 Natalie meets a very cute and chubby 3-month old baby and waves "Hi" to her. 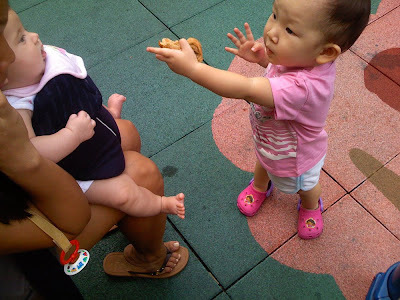 She also generously offers her bread to the baby. i like the hat!! it's super cute! 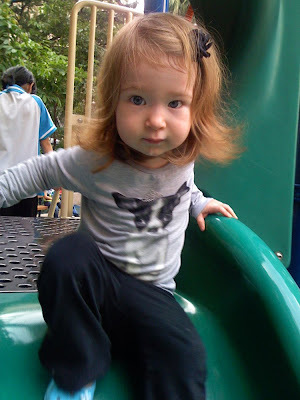 and she looks more like a girl now! !